Jill is a smaller and lighter jack-up vessel than the existing Terns in the Fred. Olsen Windcarrier fleet. She is equipped with 102 m long legs, a rack and pinion hydraulic jacking system, a large cargo deck and in addition to her main crane, good crane coverage by her three auxiliary cranes. She was built to accommodate 132 persons in addition to crew, this will however be limited to a total of 80 persons in Europe. Jill is capable of transporting WTG components up to 5MW and can carry major components such as gearboxes, generators, transformers, blades and full drive trains for O&M jobs. In March of 2018, Fred. 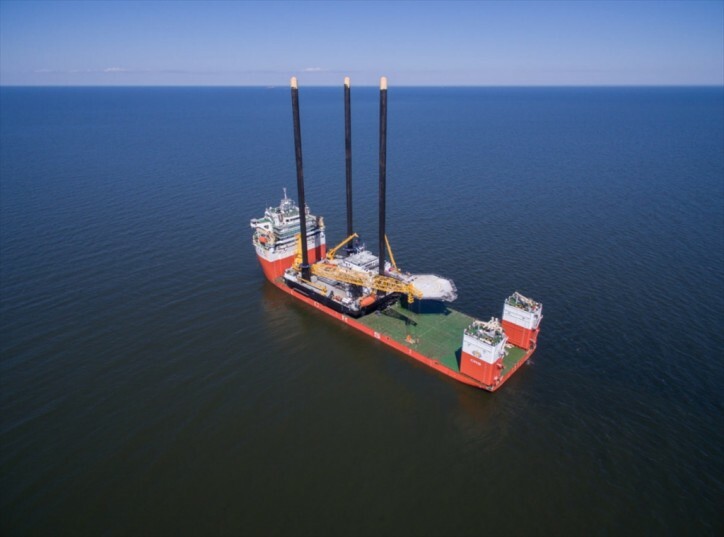 Olsen Windcarrier announced the cooperation agreement with Falcon Global LLC (a subsidiary of SEACOR Marine Holdings Inc.). The agreement states that each party will exclusively contribute vessels and marine/installation crew to the US market and operate a full spread of offshore wind installation feeder vessels for the US offshore wind market.